This article is based on a talk given at the Irish Homoeopathic Conference, Galway in 1997. And finally to Causticum which is without doubt the most challenging of them all. I have made this remedy five times in the last eleven years with three successes and two complete failures. It demands skill, great care and patience and compels the pharmacist to heed the great master's words 'follow me, but follow me well'. It is by far the most complicated and involved process of all Hahnemann's special remedies, involving hazardous chemical reactions and distillation apparatus which needs constant care and attention. Making Causticum is an experience which is different every time and has been a deep learning experience for me personally. It is also the only one of these remedies for which the final chemical composition has been the subject of debate and it is still not known what Causticum actually is. Even before Hahnemann's death it was controversial. In 1835 a chemist called Griesselich followed Hahnemann's instructions to the letter but failed to reproduce the remedy concluding that there was no such thing as Causticum. He offered a prize of 12 ducats to anyone who could clarify its chemical nature - an offer which was not taken up by anyone. The recorded attempts of other chemists, during Hahnemann's lifetime, and the analysis of different preparations from different manufacturers, more recently, has revealed variable and inconclusive results. Also, as I shall explain later, chemically there are good reasons why it should be nothing other than distilled water which was what Griesselich's experiments mostly produced. To try and unravel this mystery we must look at the preparation in detail, in the Causticum monograph in Chronic Diseases. I will go through it step by step to explain the chemical changes. Lime, in the state of marble, owes its insolubility in water and its mildness to an acid of the lowest order which is combined with it; when heated to red heat the marble allows this acid to escape as a gas. Hahnemann is describing the liberation of carbon dioxide (CO2) from marble when it is heated and its transformation from a hard insoluble form into a soft and water soluble substance which is calcium oxide (CaO). His use of the word 'lime' to describe marble relates to limestone, from which marble is derived and not to the modern chemical definition of 'lime' or 'quicklime' which is calcium oxide. Carbon dioxide is an acidic gas and will make carbonic acid (H2CO3) when dissolved in water. During this process the marble, as burned lime, has received (besides the latent heat) another substance into its composition, which substance, unknown to chemistry, gives to it its caustic property as well as its solubility in the water, whereby we obtain lime-water. From this statement it seems that Hahnemann did not know the chemical composition of calcium oxide which is formed after heating marble or any other calcium carbonate such as egg or oyster shells. Calcium oxide is caustic, can create burns on the skin and reacts quite violently with water giving off much heat creating lime water, a solution of calcium hydroxide Ca(OH)2, which has alkaline properties. This substance, though not itself an acid, gives to it its caustic virtue, and by adding a fluid acid (which will endure fire) which then combines with the lime by its closer affinity, the watery caustic (Hydras caustici) is separated by distillation. This passage describes the reaction of the alkaline quicklime with a heated acid to create the watery Causticum which is recovered by distillation. dip this piece into a vessel of distilled water for about one minute, then lay it in a dry dish, in which it will soon turn into powder with the development of much heat and its peculiar odour called lime vapour. Of this fine powder take two ounces and mix with it in a warmed porcelain triturating bowl a solution of two ounces of bisulphate of potash, (potassium bisulphate KHSO4) which has been heated to red heat, melted, cooled again and then pulverised and dissolved in two ounces of boiling hot water. The thick, white paste formed by this mixture of components is just fluid enough to be pourable though needs a spatula to put it all in the retort. The hydrated calcium sulphate so formed is commonly known as Plaster of Paris hence its insoluble pasty quality and the potassium hydroxide formed is in the solution which binds the mass. This thickish mixture is put into a small glass retort, to which the helm is attached with a wet bladder; into the tube of the helm is inserted a receiver half submerged in water; the retort is warmed by the gradual approach of a charcoal fire below and all the fluid is then distilled over by applying the suitable heat. The glass apparatus Hahnemann used was the well known distillation retort known as the alembic. They are difficult to find these days but are commonly seen in old chemistry or alchemical books. A glass bulb elongates into the conical helm which ends in a small spout. The absence of modern water cooled glass condensers in the early 1800's gave rise to the use of a pigs bladder full of water to cool and condense the distillate vapour as it rose from the heated glass bulb. The receiving bottle is attatched to the helm, with a moistened pig's bladder, to create a porous seal and is also cooled to complete the liquefaction of any uncondensed vapour. Using gradual heat, as the charcoal fire infers, it takes many hours (4-6) to completely distil all the liquid and it is important that it is heated to dryness. My experience up to now has been with the use of modern distillation equipment, rather than the alembic, which I feel physically mimics the properties of the original adequately although cannot replace the authentic ritual of the real thing with all its beautiful subtleties. I'm sure that I will have more experiences of this remedy preparation each time getting even closer to the impossible goal of perfectly repeating Hahnemann's own remedy. It smells like the lye of caustic potash. On the back part of the tongue the caustic tastes very astringent, and in the throat burning; it freezes only in a lower degree of cold than water, and it hastens the putrefaction of animal substances immersed in it. When muriate of Baryta is added, the Causticum shows no sign of sulphuric acid, and on adding oxalate of ammonia it shows no trace of lime. The chemical tests mentioned at the end, using barium chloride, shows there is no presence of sulphate ions and ammonium oxalate shows there are no calcium ions present in Causticum. The physical properties mentioned, of freezing point and putrefaction, are common characteristics of caustic alkalis. One of the drawbacks to the industrialisation of remedy preparations by large homoeopathic manufacturers, over the years, is the imposition of allopathic methods of quality control and analysis on raw materials in order to licence remedies as medicines for retail sale. This can impose strict testing of original remedy materials to prove identity, quality and the validation of potentisation methods which, of course, is a good thing. When pure sources of elements and compounds are used there is no problem achieving this, but when the starting point is already an impure source this can cause difficulties. For example it is impossible to know the exact analysis of the marble Hahnemann used for the original remedy and it is not documented from where the sample was obtained. Also uncertainty as to the exact composition of the finished Causticum, and the many trace elements it may contain, would mean very involved analytical discussions about criteria and tests. 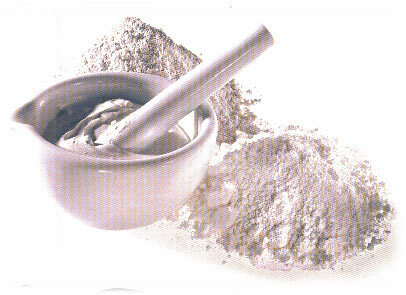 Pharmacopoeias over the years have avoided this issue by substituting two pounds of marble with two pounds of burnt lime, without indicating a source, to avoid having to introduce such a variable. This means pure industrially prepared 99.9% calcium oxide is put forward as the starting point. Causticum is not found in either the French or German homoeopathic pharmacopoeia (GHP) which are both widely used in the UK and Europe. The recent British homoeopathic pharmacopoeia, brought in to preserve some of the remedies not found in the GHP, has an entry with testing for the absence of sulphates, calcium and heavy metals. Neatby & Stonham's book describes Causticum as being 'of somewhat uncertain nature' and that 'the modern liquor potassium hydrate (i.e. KOH) is often dispensed as a substitute'. Understandably the variables possible with different marble qualities would make standardisation, via the pharmacopoeia, very difficult to reproduce by manufacturers. However this sacrifice to analysis looses certain important subtleties just as making Calc Carb from pure chalk would be slightly different from that prepared from the oyster shell. My first experiences making Causticum used pure calcium oxide, instead of marble, I have to say the end product passed all the organoleptic (taste and smell) and chemical tests given by Hahnemann and has undoubtedly worked well as a remedy. The quality of remedy potencies reflects perfectly the original so if an oyster shell is 99.5% calcium carbonate and 0.5% impurities then using pure 99.99% pure chalk would still be 99.5% of the Calc Carb picture, perhaps in most cases enough similarity to cure and not significant, we do not know - but Hahnemann's voice rings out again "....... but follow me well"! That 0.5% missing may have provided the essential part of the resonant stimulus needed to cover the similimum fully and thus cure the patient in front of us. My interest in Causticum was rekindled when on a visit to the Burren school in Galway, Eire. Nuala Eising had just finished the Fire proving and asked me if I thought a Marble woman and a Fire man would produce a Causticum child. The answer is, of course, only if she had a fling with a potassium bisulphate lover! Despite not offering this as a serious reply, not wishing to interrupt the speculation inspired by the question, it did get me thinking about making the great anti-psoric again using marble and to see if any characteristics of the newly proved remedies are literally carried over into Causticum. Back in the lab, some months later, the initial problem of how to heat an entire two pounds of marble to red heat soon arose. Large flame bunsens, and gas fires take ages to do it and by the time you have got to one end, of the marble block, the other end has taken up moisture again reducing the calcium oxide content. Just how did Hahnemann do it? Visions of blacksmiths forges appeared so I tried burning it on glowing hot coals for a few hours. It works very well but contaminates the marble with sulphur fumes from the coal. So the first marble sourced remedy was a long day of burning and scraping marble until two ounce of the transformed marble was available. Still a long way from the two pound burned lump ready to dunk into water. Possibly the best method is to bake it in a pottery kiln, although I am told this can be very dangerous due to risk of explosions from possible water pockets embedded in the stone, but perhaps this will be one for the future. However as the years go by I am more and more convinced that remedies themselves choose when to be made and the timing must be right to create the perfect conditions. This is especially true for new proving remedies, a good example being the coincidental major astrological movements of Pluto at the start of the Plutonium proving previously unknown by the proving team. The conditions for a superb Causticum firing came together one night last June at Jeremy Sherr's summer school on Raasay island off the Isle of Skye. The Dynamis school has been holding summer gatherings there for many years and presence of twenty or so homoeopaths together supported the event beautifully. The idea came to have a wood fire on the beach so the marble was placed on a large stone while group participation gathering wood, and passing the Jamesons, soon had everything prepared. Duncan, one of the local seafarers who regularly visited Raasay, was also with us, He was very keen to join the event because he had been cured of a very serious condition, by Jeremy, with Causticum. It, apparently, was his remedy and he set himself the task of feeding the fire with great enthusiasm as the blaze grew and the marble got redder. The weather conditions were also special with the first cloudless starry night of the week giving a clear view of the north star, Polaris, the telescopically focused light of which we were all proving at the time - just to add another dimension to it all. As the time moved on we all wandered back to bed in the early hours, leaving Duncan Causticum tending the fire, which he did until 3am. Early next morning it was sunny and I walked down to the beach to collect the burnt offering. To my amazement it was lying clean, white and exposed on the stone with not a speck of wood ash around it. I assumed Duncan had cleaned up before he retired for the night but no he had not - the highland wind had blown any remnants of the fire away and the marble was completely burned and ready. That evening it was distilled following Hahnemanns directions as closely as possible, in an atmosphere of collective support and wonder resulting in a superb liquor which is without doubt the best quality Causticum I have made to date. I have not found as yet a satisfactory answer to why Hahnemann went to so much trouble to make this remedy. What were his intentions? If the goal was to make potassium hydroxide (KOH) this method is not very efficient and apparently unnecessary. Chronic diseases describes the smell of Causticum like the 'lye' of caustic potash (KOH) so it was obviously already available and known to him so why bother? Andreas Grimm, who reproduced the original method exactly in 1989, speculates that Hahnemann was trying to isolate and distil the 'caustic principle' i.e. the OH- ion which is, unknown to him, and a fruitless task using this crude method. Perhaps we will never know the truth but the combination of so many alchemical elements seriously leans towards an experiment with another dimension. The use of the great transforming fire, the meeting of the two principles masculine (acid) and feminine (base) in equal measure, the hermetically sealed unit and the final distillation in the alembic are all well known alchemical processes. Whatever the true reason the result is undeniably one of the most important remedies in the materia medica and it is important to be clear as to its composition and reproducibility. According to the formulas the thickish mixture in the flask contains only three components KOH + CaSO4 + 2H2O. i.e. Potassium hydroxide, calcium sulphate and water. There are actually no volatile gases or products which would pass over during distillation except water. Potassium hydroxide dissolves in water but remains behind as the water boils off. Calcium sulphate is insoluble and remains behind as a white hard mass. So how is the final product alkaline at all. For many years it was thought that the alkalinity was due to ammonia which is created when elemental calcium metal reacts with nitrogen 3Ca + N2 = Ca3N2 and the resulting calcium nitride reacts with water to form ammonia gas. Ca3N2 + 6H2O = 2NH3Ã¢â€ â€˜ + 3Ca(OH)2 This gas then forms ammonium hydroxide, sometimes called ammonium causticum, when it contacts water. NH3 + H2O = NH4OH. Scholten states in his recent book that Causticum contains ammonia but is different from ammonium causticum. However reactive elemental calcium metal is not present in our process and calcium oxide, which is, does not form this liaison with nitrogen and thus ammonia is not formed. It is possible for ammonia to be formed if potassium hydroxide comes into contact with the protein of the pigs bladder but this is very remote. So how is the potassium hydroxide present in Causticum? Grimm gives, what I believe, is the most likely explanation. At 350 - 400degree Celcius temperatures, created by the charcoal fire, potassium hydroxide sublimates without decomposing. Sublimation means that the solid vaporises into the condenser and is carried over into the receiving vessel by water vapour thus resulting in a weak solution. Grimm also suggests that bumping may also occur, which is common with alkalis, creating a spitting effect up the tube. Thus Causticum is a weak solution of potassium hydroxide by these effects. If there are traces of unfired calcium carbonate in the calcium oxide then the addition of the acid may liberate carbon dioxide gas which may be present as a trace as in CaCO3 + KHSO4 = CaSO4 + KOH +CO2. However there is also another subtle dimension which must also be remembered. The starting point was an impure marble which could have had trace elements of many different elements. Ornamental marble gains it colours from the presence of impurities such as iron creating red, chlorites the greens and graphites the blues. Quartz (silica) is also often found as an impurity in marble, so there are still many possible trace elements which are unknown and may be present. With the recent use of the periodic table to expand materia medica by Sankaran, Sherr and especially Scholten, verification of the composition of Causticum can be supported by analysis of the characteristics of the element. The well known Causticum theme of the sympathetic, serious, intense, sensitive type who can become a social activist, working on behalf of others, to overcome injustice can be seen as being made up of the three elements KOH, potassium, oxygen and hydrogen. Doing their work and duty without thinking. Steady plodding conscientiousness to get the job done. Have and need fixed rules and like to stick to them. Have strong principles and can be depended upon to fulfil their responsibility. Often work alone and decide for themselves how to do it. Don’t like interference. Can even turn away from the family. Fixed attention to principles and duty leads to an inability to identify with their action. Loose their sense of self. Brainwashed. Are naive. Over control suppresses free thinking. Are not open to debate and become closed, dogmatic, moralistic. Kali brings in many symptoms concerning the will. The well know Kali theme of control and lack of it is also seen in Causticum characteristic symptoms such as: paralysis of throat, larynx and respiratory system preventing mucus being expelled, involuntary urination on coughing or laughing, contracted tendons or paralysis in the extremities. Scholten's description give themes of avarice, selfishness, greed, egotism, envy and self centredness. Issues of self worth. They feel they haven’t been given their due and are determined to get it. They complain and whine about things even becoming aggressive. Attention seeking like children who want things now. Leads to the element of blame, feelings of being used and abused by others, its always the other persons fault. Victim mentality. they can’t come to terms with the unfairness of life and that they should make the best of it. Even small things get blown out of proportion and are reasons to complain. Action is hampered by a laziness, as they feel its a lost cause. Feel others should put it right. Have a passive attitude. Nonchalance and indifference to resolving the problems. Image of the tramp muttering to himself about the injustice of it all, resort to being beggars. Here we see, in the oxygen, the more emotive side, hurt feelings, low self esteem, sensitivity to injustice and possibly a feeling of being a victim without the will to do anything about it. However combined with the strong willed and dutiful Kali element the principled, controlled and steadfast action is brought in as demonstrated by the Causticum stereotype. Hydrogen brings the desire for and the experience of unity which brings the element of working for a cause for themselves and others. This search for unity can be expressed and religious feelings or as a great love for everyone. There is a sympathy out of a love for others and their emotional sensitivity allows them to feel what others feel because they are one with them. The fight for injustice is extended beyond the personal to the collective by hydrogen's influence. It can be seen to bring in the intellectual element to the trio and extend the aspiration of Causticum to the higher purpose; they can work on behalf of others for their greater good whether it be society as a whole or their own family. Putting these three elements together also shows the true polychrest nature of Causticum. Hydrogen represents the mental element linked to the psoric miasm the search for wisdom. Of course the whole is always greater than the sum of the parts but these generalised themes seem to fit. The task of trying to show a remedies chemical composition by materia medica is a huge task as there are so many overlaps which go on and on. There are some interesting keynotes of Causticum which may point to other directions. For example the black type symptom 'Fear of dogs' is well known for Causticum. Kali Carb is the only kali salt which has 'fear of animals' but not of dogs although Silica is there. Kali Carb is in italics with Causticum black type in the rubric 'aversion to sweets'. Causticum also has a few symptoms about ghosts and seeing images on closing the eyes. The Carbon series, such as Carbo Veg and Graphites, are well known for symptoms of this sort suggesting perhaps there is some carbon present. Silica also is well represented with these symptoms. Perhaps the marble impurity is present as a trace element or compound. Dogs, ghosts and desires for smoked meat also links very strongly with the Calcium element from which Causticum originates but the barium chloride discounts the presence of this element although it is interesting how close the calcium salts are. Calc Phos for example also sharing the tubercular smoked meat desire. At present Causticum still holds some secrets and speculation and attempts to use materia medica to decipher constituents is very inexact because of the differences in numbers of rubrics between the remedies in the repertories. Perhaps continued chemical analysis of preparations in the future, ideally by many companies, will give rise to some definitive answers as to what Causticum is. Up to now the documented variations have been inconsistent and more samples, willingness and time is needed to standardise this remedy correctly. I am sure it is a Kali salt, and should be thought of as one, but alchemy is a mysterious thing and I'm sure this wonderful substance will still keep some of its secrets hidden for some time to come. If any of you have any comments or information which can shed more light on the subject I would be very grateful to receive it. I would like to thank Bob Lawrence, at Helios, for his technical support of several preparations of Causticum, Andreas Grimm for his formidable work, insight and wonderful dedication to Causticum, Alan Crook for his translating skills and finally Jeremy Sherr, Diane Goodwin and the Raasay north stars for supporting, so beautifully, the making of Causticum on that memorable night last June. John Morgan has been a homoeopathic pharmacist for 18 years and founded Helios Pharmacy in 1986. He has helped in the birth of many new provings, teaches widely and still finds time to run a small practice in the Helios Clinic.